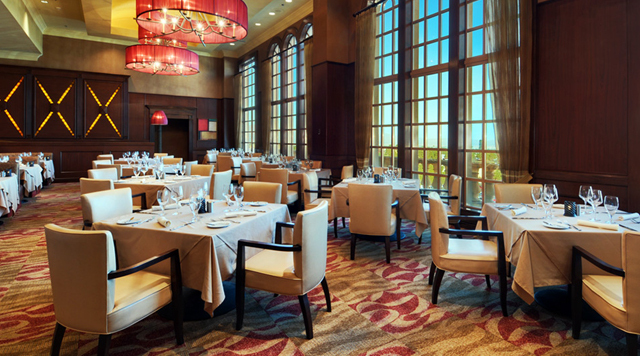 Located a short elevator ride away from the exciting action of our casino, this exclusive room's classic steakhouse ambiance and unforgettable view of the Las Vegas Valley enhance an already pleasurable experience. In addition to our selection of USDA Prime Aged Beef dishes, SC Prime offers seafood, lamb, pork and poultry, all prepared to perfection. And whether you're a wine connoisseur or not, you’ll find the perfect accompaniment to your dinner on our extensive wine list. When your celebration requires a bit more intimacy, our private dining room is available for parties of six to 14. We don't have many requirements of you at SC Prime; just an appreciation for the finer things in life.